Just 30 years ago, it was the law in many states that a woman applying for a business loan needed the guarantee of a male cosigner – be it a father, a brother, a son or a friend. Then came passage of the landmark Women’s Business Ownership Act (H.R. 5050) on Oct. 25, 1988. This game-changing legislation did away with the rule and paved the way for more women to pursue entrepreneurship, and as a result, drive significant growth in the U.S. small business sector. A few weeks ago, I had the pleasure of spending time with some women who were a driving force in influencing the development and passage of the legislation. They joined me in attending the annual Women’s Business Conference sponsored by the National Association of Women Business Owners (NAWBO). Held Sept. 23-25 in Spokane, NAWBO members from around the nation gathered to celebrate the successes of women entrepreneurs. I can respectfully say that as a woman who is passionate about women’s advocacy, I only wish I had a front row seat to see these women in action 30 years ago! They single handedly changed the lives of hundreds of thousands of women business owners. Virginia Littlejohn, a conference attendee and one of the primary architects of H.R. 5050, said it best. “[H.R. 5050] truly was the Big Bang, it transformed the landscape for women’s entrepreneurship.” Indeed, today’s women business owners stand on the shoulders of those who came before them – women including Kathleen Diamond, Virginia Littlejohn, Dr. Terry Neese, Susan Hager and Phyllis Hill Slater. As we celebrate National Women’s Small Business Month and the 30th anniversary of H.R. 5050, we are reminded of the importance to maintain momentum in ensuring women entrepreneurs have the resources and opportunities to bring their talents to the table – because doing so drives greater innovation, expands choice for consumers, employs more people, propels economic growth and enriches communities and lives. I am immensely proud of the work that Bank of America, NAWBO and other organizations are doing to support this momentum. What key milestone will we be celebrating 10, 20 or 30 years from now? Learn how eight women found entrepreneurial success, their impact on society and the challenges they faced building their businesses. Learn more about how Bank of America supports women. Jill is the Managing Director and Head of Small Business for Bank of America Merchant Services. In this role, she is responsible for managing Small Business from an end-to-end perspective, leading sales and providing the oversight, development and delivery of critical business priorities. Jill joined Bank of America in 1992 and has been in the financial services industry for 26 years. Prior to her current role, Jill was the Small Business National Sales Executive for Bank of America responsible for delivering banking, credit and cash management solutions to small business clients. Previous roles include leading Affinity Banking, Employee Banking & Investments and Strategic Planning for Preferred & Small Business Banking. In addition, she held the role of chief operating officer for Americas’ Corporate Banking and held positions within Energy & Power and Environmental Services. Jill is the co-chair of Bank of America’s Domestic Violence taskforce. 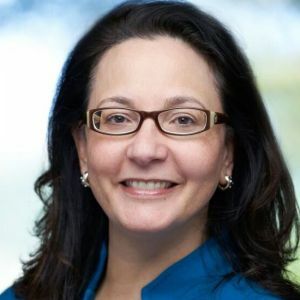 She serves on the Board of Directors of Susan G. Komen New England and is a member of the national advisory board for the National Association of Women Business Owners. Jill graduated from Tufts University with a Master’s degree in Economics and holds a Bachelor’s degree in Economics from Clark University.